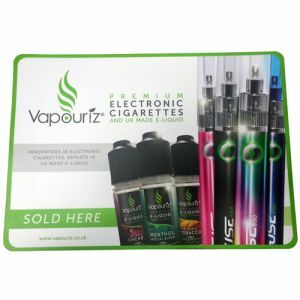 Promotional counter mats are the ultimate in low cost, high impact advertising for any business with a reception area, trade counter or service or parts department that is open to customers. They’re also popular with doctors, dentists and veterinary surgeries where patients arrive and have to check in. Available in three sizes, standard A4, large A3 or extra large A2, there’s sure to be a format to suit your retail, trade or commercial environment. We also have branded melamine and polypropylene placemats for bars, cafés and restaurants, plus two sizes of personalised desk pad holders which are ideal for meeting and conference venues. If your business has a counter or desk where visitors or customers need to queue or wait for any length of time, large format branded counter mats will keep the area clean and tidy, all while getting across your important product or service messages. 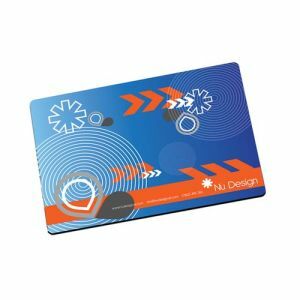 Many advertising opportunities are fleeting, but a counter mat has precious minutes to reach your ideal customer with new offers, services or important contact information. 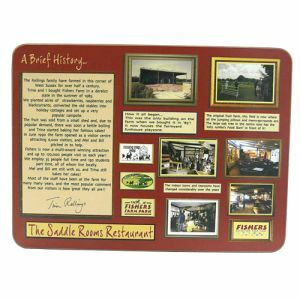 On branded counter mats with full colour print options, you have the opportunity to include photography alongside any text. Most even come complete with protective foam bases, so that printed counter mats will also ensure your countertop or reception desk is protected from wear and tear or damage light damage from visitors. 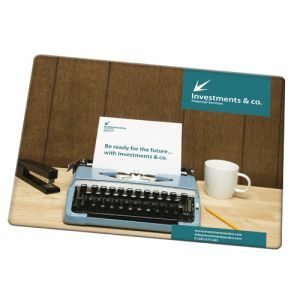 Take a look at our best-selling promotional desk mats, A3 Total Counter Mats and A2 Total Counter Mats which are made here in the UK and can be turned around in just a few days. Or for something on a smaller scale, our A4 Q Mat Counter Mats (also available in A2 size) are perfect for even smaller waiting areas, ready for printing in up to full colour at no extra cost. 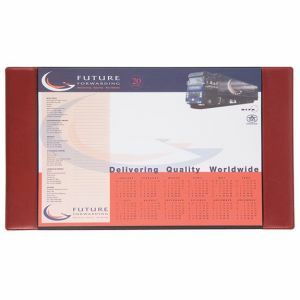 To protect wooden desks or to transform your office, conference room or boardroom interior style, a branded A3 Desk Pad Holder in high quality, vegan leather with natural grain is a cost-effective alternative to changing other elements of the fixtures and fittings. Printed or embossed with your logo onto one of 22 available colours to match to your company colour palette, A3 branded desk pad holders will add a touch of class to all your meetings or conferences. For staff desks or smaller spaces, we also have A4 printed or embossed desk pad holders. 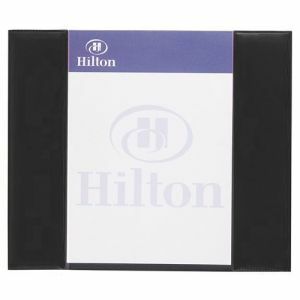 These give you the option of adding promotional notepads to fit in them for a truly corporate finish. They also make fantastic corporate gifts to extend your brand into your clients' offices and meeting rooms, getting your name in front of their customers too for maximum advertising. For businesses like hotels, cafés, bars and restaurants, we have promotional cork or felt backed printed melamine placemats to protect tables from high-temperature plates and serving dishes and spillages. 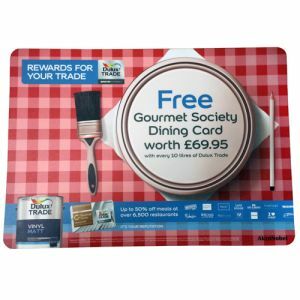 Attract the attention of diners, provide useful information or just ensure your logo is on display at every place setting, these classic placemats are recognised by customers of all ages and offer a timeless finish to any location. 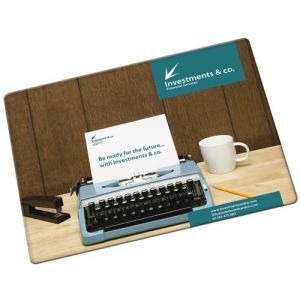 Keep desks, tables, reception areas and trade counters on brand with one of our great value promotional counter mats, branded desk pad holders or printed placemats. For more information, call us on 01376 509 092.